We bade a sad farewell to our American volunteer, Karen Kievit, recently. 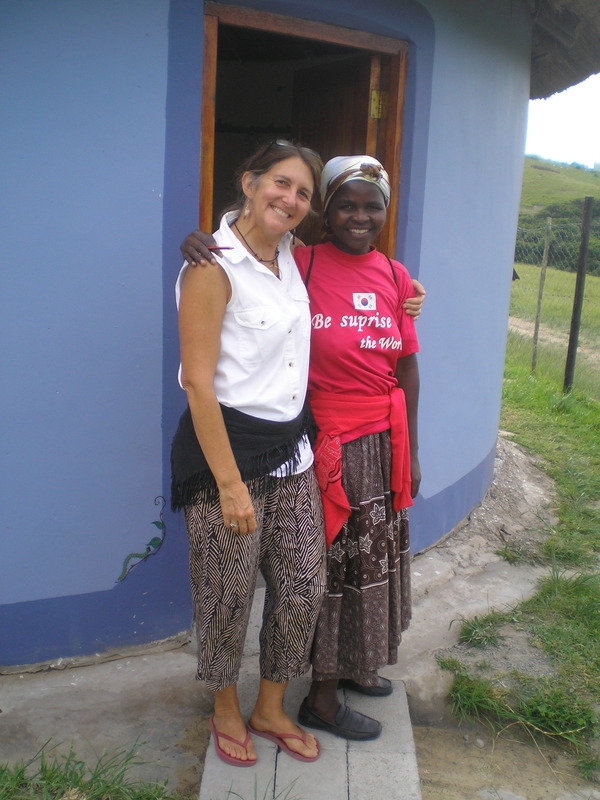 She left her home and family in Olympia, Washington State, in September 2009 and has spent the last 9 months living in the heart of Nqileni village, immersing herself in the customs and activities of this Xhosa community. Karen is an expert in the field of Early Childhood Development and her role in mentoring and training the ECD practitioners at Jujurha Early Learning Centre has been invaluable. Every child has benefited from her affectionate and enthusiastic nature, her deep understanding of children’s needs and her willingness to become involved in every facet of the ELC. She has been instrumental in establishing the Nqileni Community Library, sorting, cataloguing & covering books, training our community librarian, selecting new materials and setting up the operation of the library in the community. The After School Enrichment Programme has benefited from her innovative ideas and hard work – indeed, Karen has left an indelible mark on the lives of young and old and she will be greatly missed as an educator, colleague and friend. Enkosi, Karen! I am one of Karen’s friends and professional peers here in the United States. She is a talented educator and caring human being. We missed her here, but know how much she must have contributed in your community. She has mixed feelings about being home and misses you all very much! I enjoy her stories of Africa and hope someday to come and visit there myself. Karen and I met while teaching a “Coop Preschool” here. I would love to visit the school! Thanks for your kind remarks. I miss you all immensely already. I’ll be boarding a jet in about 24 hours on 16 June, Youth Day in South Africa and Bafana Bafana’s second match. Life and love goes on.